Sometimes I have days where I just feel a little ‘neutral’. I don’t feel like doing anything, but I don’t feel bad either. I just feel emotionless. Because I was having a day like that today I thought it might be a good idea to write about things that make me happy. So that’s what I’m doing today. If you’re interested in finding out which randoms things make me a happy human being, make sure you continue reading! Well I think that was about enough for now. There are a lot more things that make me happy, but if I’d had to list them all we’d be here forever. Writing this post did make me feel happy and excited to do all of those things so that’s really nice for me. 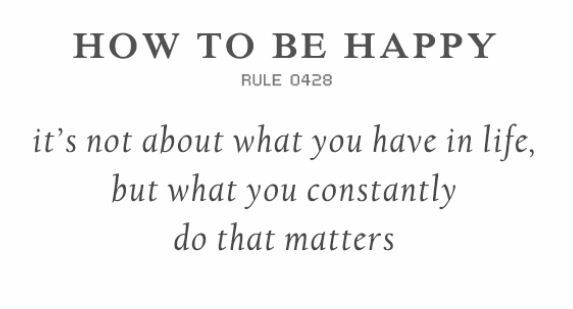 I hope you enjoyed reading this post as much as I enjoyed writing it and be sure to let me know which things make you happy! Zo leuk om te lezen 🙂 Ga ik ook eens doen! Mariëlle Markgraaff recently posted…Hoe ziet mijn leven er op dit moment uit?